Hand out a flyer in your neighborhood advertising that you will take their dog for a one to three-mile run on a Saturday or Sunday. Include some benefits on your flyer. 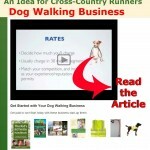 Tell how exercise is healthy for their dog and how running will expel extra energy making a peaceful home environment. 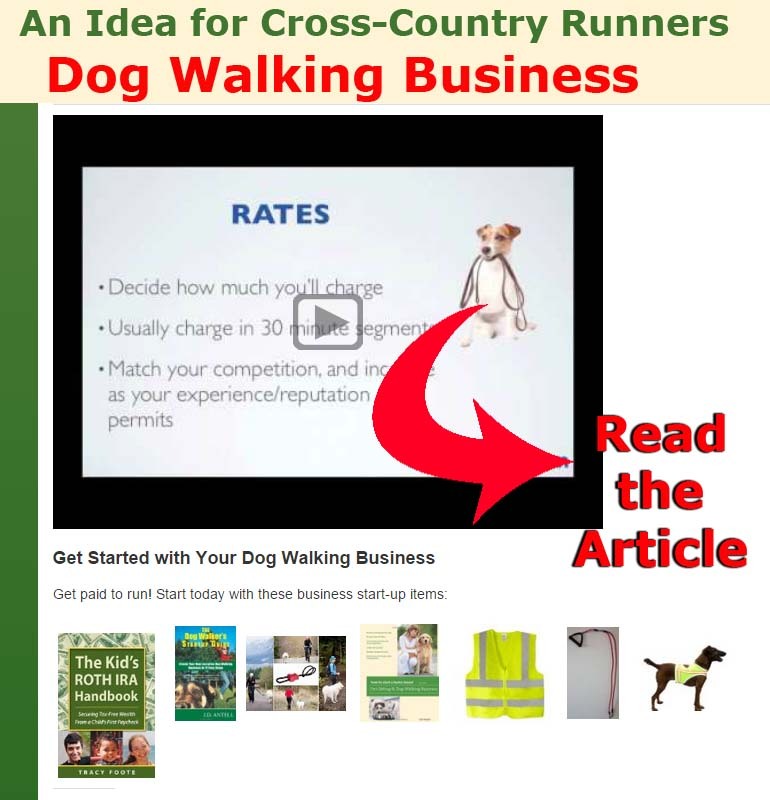 Your target customer is any dog owner with a busy schedule who has little time to exercise their dog. Suggested price: $10-20 per run. This can lead to other jobs too. The owners might call for dog sitting when their next vacation rolls around or if they have a business trip. Spend some time with the dog before handling it alone. Start with very small dogs before handling larger ones. Remember when “working” the priority is the dog and not the distance you are running. Stop if the dog looks winded. If you found this useful, follow our Jobs for Students Board on Pinterest . My neighbor use to do this! He use to walk 5 dogs I think? made pretty decent cash!